Topped with crunchy sparkling sugar. (Reminds me of those famous Jordan Marsh Blueberry Muffins.) Blueberry picking season is just around the corner in New England and I’m so excited. A blueberry pound cake is New England summer at its finest and delicious cakes like this are served in Maine restaurants all summer long. My Jon loves all things blueberry. And I remember as kids we used to buy blueberry Jelly Belly jelly beans, share the whole bag in one sitting. Mostly eat ’em straight. Put ’em on Baked Oatmeal. Blueberry jam. Blueberry cobbler. Even homemade blueberry ice-cream. 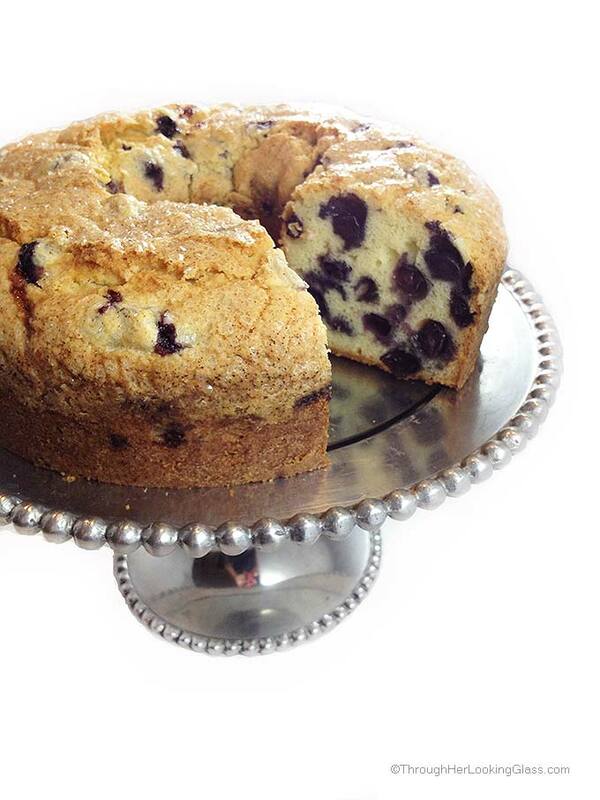 But we especially love eating this delicious Blueberry Pound Cake. You will too. 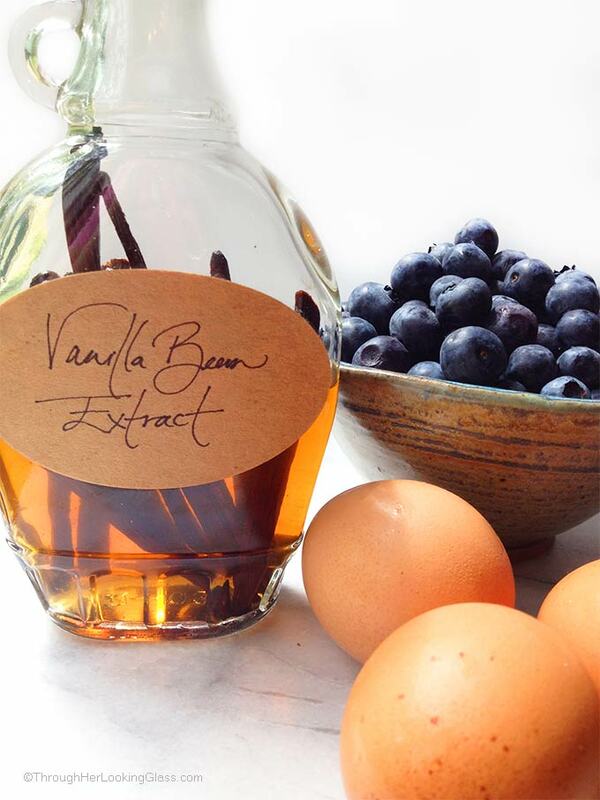 This recipe calls for pure vanilla bean extract, fresh eggs, real butter and blueberries! Cake recipes can be tricky, but this has gotta be one of the easiest cakes I’ve ever baked. There are no special tricks or temperature settings. It always turns out a beautiful golden brown, looks gorgeous with the sparkling white sugar on top. Grab your fork! 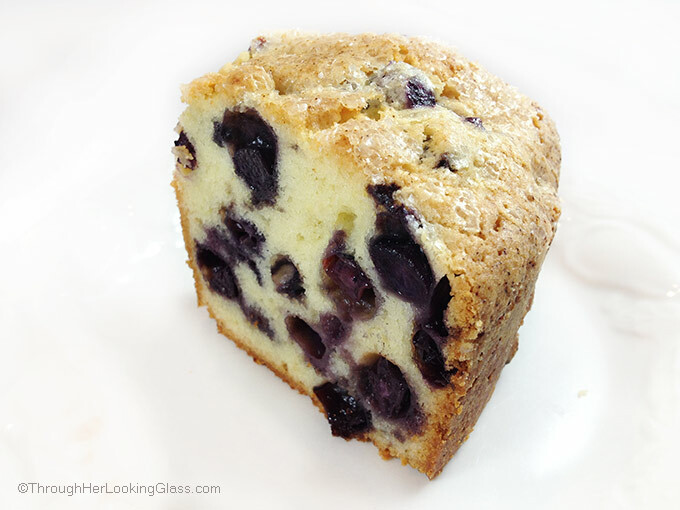 A moist, dense, buttery pound cake packed with plump, juicy blueberries. Sift remaining flour with baking powder and salt, set aside. Separately in mixing bowl, cream butter and sugar together with hand or stand mixer. Fold dry ingredients (by hand) into batter until well blended. Sprinkle with 1 tablespoon sparkling white sugar or turbinado sugar. Bake 1 hour and 15 minutes or until cake is golden brown and tests done. Cool cake in tube pan for 10 minutes. Use a sharp knife to carefully separate cake from the edges of the pan and around the tube in the middle. Carefully remove the cake from pan and cool on a baking rack. If you use frozen blueberries, make sure they are completely thawed and drained. 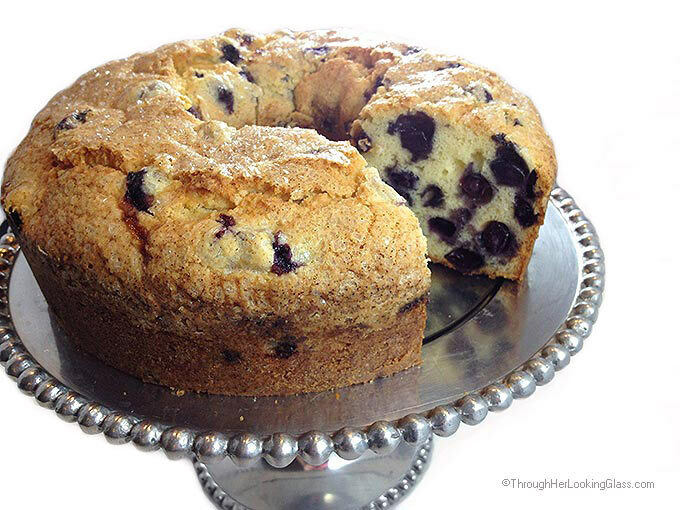 A fresh slice of Blueberry Pound Cake is delicious served with Triple Easy Homemade Lemonade! Allie - I've got an awesome story about blueberry picking for you. Two years ago, my two friends and I went to a pick-your-own orchard for blueberry season. It was kind of foggy and damp, so there wasn't really anyone picking but us. We were eating as we picked because, well, everyone does that! :) This man came behind us and shouted and said, "Hey, you know that if I report you three for eating the blueberries off of the bushes, then I get all of mine for free." We went dead silent and were kind of confused. After a few seconds, he burst into laughter and told us that the looks on our faces were priceless and that he was just joking. We were baffled by the situation. We still bring that story up to this day. I love blueberries. Thank you for sharing this cake. It looks so moist. I, too, love blueberries! And this recipe sounds scrumptious and easy. Since Jack does most of the cooking now, I have lost my knack of wonderful treats in the kitchen. However, this seems easy enough for even me to be successful. Think I might surprise Jack with this on Father's Day. And if I am successful, it will definitely be another contribution to the food at Merrimeeting Lake in July. We just started picking blueberries on our farm and I am so excited. We have twenty acres of the beauties. This cake sounds delicious. I will definitely be making it! This would definitely be worth the calories, though I might turn into Violet from Willy Wonka! You are too funny Denise. Only you would think of Violet and Willy Wonka! Wish I was having this for breakfast today! It looks amazing. This already sounded DELICIOUS, but when you mentioned Jordan Marsh muffins, I thought I should make sure I have all the ingredients pronto! P.S. Denise's comment is hilarious!! Can you share a place up in NH that you would recommend to go blueberry picking? This recipe sounds awesome!! Hi Amie - we pick at Durocher Farm in Litchfield. Just checked their site http://www.pickyourownberries.com/Home_Page.php and they say the berries should be ready to start picking the first week in July! Can't wait! Ok, small world! You just told me about this place yesterday, and I met the owner this morning while he was working on a project with my husband here in Candia! I'm definitely going to give them a try!! This is such a beautiful cake! 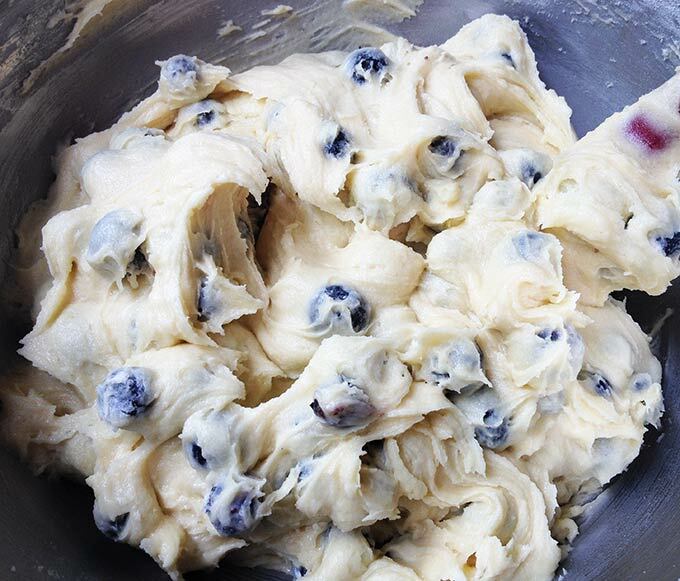 I have blueberries in my fridge and I think I know what I'm making. OMG, I used to LOVE Blueberries for Sal!!!!!!! This cake is so beautiful -- definitely on my to-make list, Allie! 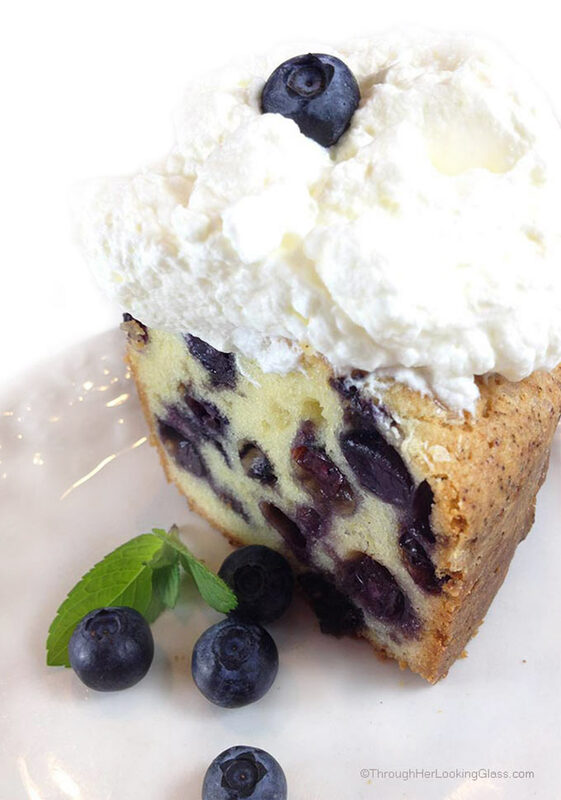 There really is no better way to enjoy summer blueberries, than a BIG ol' slice of blueberry pound cake. Lovely recipe! Oh my, that looks soooo good! My grandma used to love making pound cakes, and I always remember how I loved the smell in the kitchen as the cake baked. Combined with my love of berries, this is is a recipe we'll try out, for sure! What beautiful pictures, Allie!! I can't tell you how hungry they made me! :-) Loved hearing about how you and your husband shared jelly beans when you were little. That is so sweet!! Take care and thanks for sharing the recipe. Looks extra ! Parfait for any time ! Love it ! That recipe looks amazing! I know what I'm making tomorrow! Do you have suggestions for adjusting the cooking time if I make it in a loaf pan instead? Oh thanks Amy, hope you love it! I've been making it for years, but never tried it in a loaf pan. My guess is that you might need to bake this recipe in two loaf pans. It's a pretty big cake. If I were baking it in loaf pans, I'd start keeping an eye on it around 35 minutes or so...check it with a cake tester when it starts browning. If you do go ahead and use a loaf pan(s), please comment back with your suggestions. Hope it turns out perfectly and happy 4th! This recipe looks so yummy! 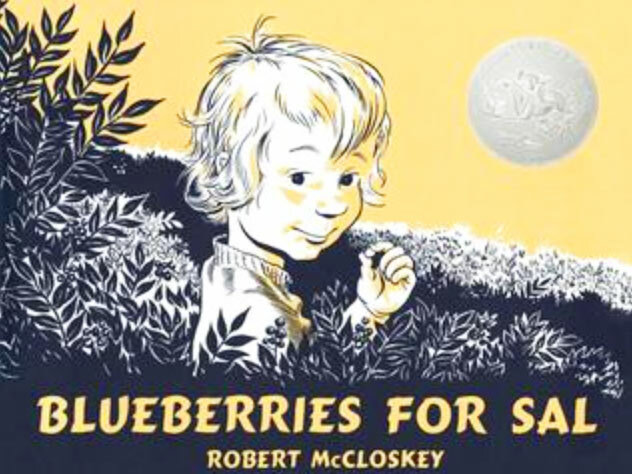 Blueberries for Sal is one of my favorite children's books. I read it to my son all of the time and it's one of the regular books I give at baby showers. our old property had SIX blueberry bushes, I sure miss those! the cherry tree in our current yard makes up for it a bit ;) I would go out of my way to get fresh blueberries for this cake - it sounds so SO good! I love blueberry desserts and this looks absolutely scrumptious, Allie! We have blueberry bushes but once again the birds beat me to them. And my niece and nephews beat me to the raspberry bushes...LOL! 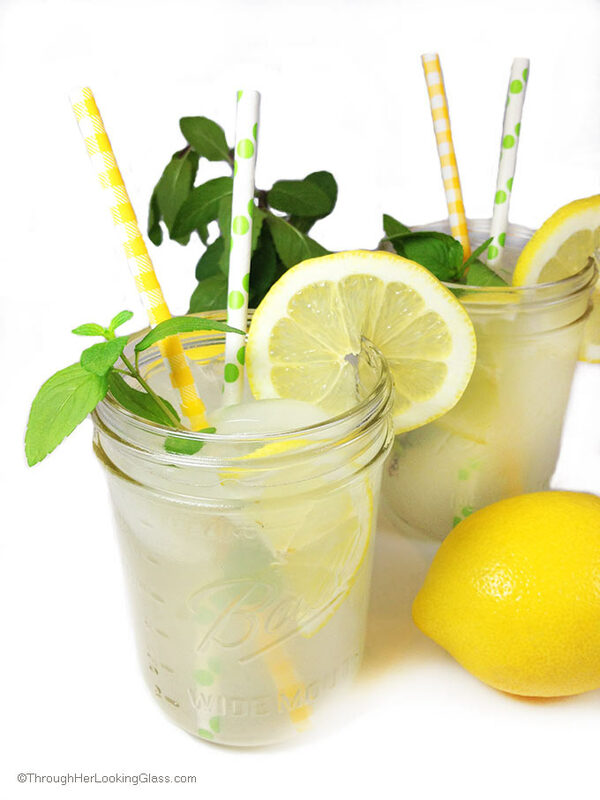 Pinning this yummy recipe! Hi Ella - I would say just until creamy, medium speed, maybe a couple minutes? Hope you love this cake, and happy weekend! Oh Allie, my mouth is watering! This is a beauty you have here! Such a luscious and moist looking cake! I adore all things blueberry too and I would love to sink my teeth into a slice of this! Forget about Brick Street Cafe, I think Allie's Bakeshop is bound to have the BESTEST EVER Cakes - so, with that said, when is Allie's Bakeshop opening up? I'll make the drive up for sure, my friend! I know this recipe calls for real butter and flour, but I'm so tempted to make a gluten free, coconut oil version of this - if I do, I will let you know for sure! Happy Wednesday sweet friend! I love that book! Such a classic. I also love blueberries, but can you believe I've never made a pound cake? I need to put it on my list for making soon! This looks beautiful and yummy! Bonjour chère Allie! On a eu presque la même idée! Lundi dernier, j'ai réalisé un gâteau qui ressemble beaucoup au tiens, tu le verras bientôt! En tout cas, ta recette a l'air vraiment très gourmande et appétissante ! Sad :( I followed the instructions and attempted to remove the cake from the pan after letting it cool for 10 minutes. The top half remained in the pan. I'm heartbroken. Dear Susan, I'm just reading your comment now and I'm so very sorry to hear about your cake sticking in the pan. I know first hand how frustrating it is to spend all the time and money on ingredients for a special recipe only to be disappointed. I'm just heartbroken to hear this happened to you. I've made this cake so many times and never had this experience, so I went through the instructions step by step trying to figure out what I could have possibly missed in the instructions that may have caused this. The only thing I can think of is that I always use a two piece tube pan, and I go around the edges with a sharp knife to separate it from the pan on the sides and from the tube in the middle. Then I take the outside part of the pan off. I then use the knife to separate the cake from the bottom of the pan. Then I turn it out onto a platter. I bake cakes so often that doing this is second nature to me, and I don't even think about it. But I'm so sorry if that is what caused your cake to not turn out of the pan. I've gone into the instructions and updated them, suggesting using a knife to separate the cake from the pan before turning it out. I really appreciate your taking the time to give me constructive feedback, thank you, and I'm so sorry your cake didn't turn out. Thank you for sharing this amazing recipe. I made this cake over Memorial Day weekend and it was such a hit that friends and family have been requesting me to make them their own special cake. 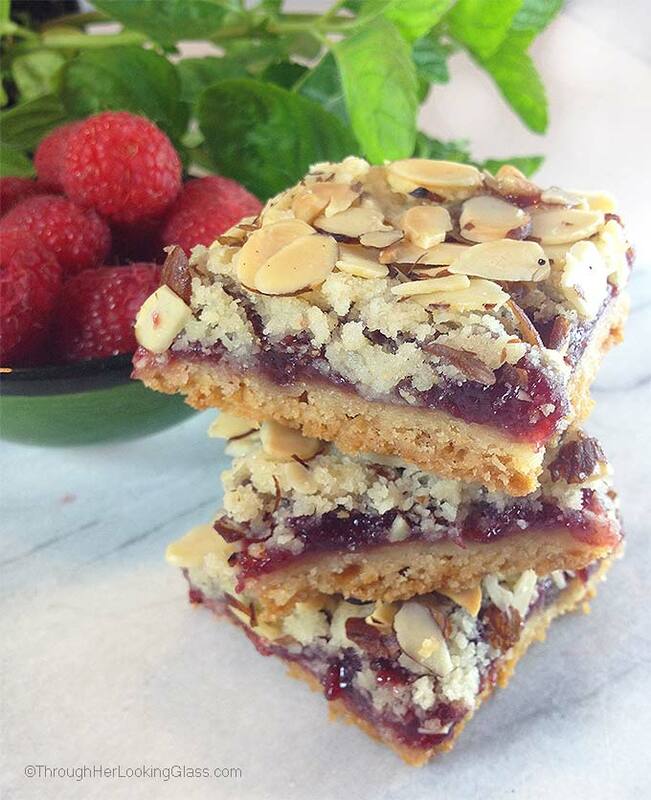 For one family member I used this cake recipe, however instead of blueberries I substituted tart cherries from the local orchard, added just a touch of Almond extract and nuts. AMAZING!!! I made your blueberry pound cake yesterday and it is WONDERFUL!!!!!!!!!!!!!!!!!!!!!!!!!!!!!!!!!!!!!!!!!!!!!!!!!!!!!!!!!!!!!!!!!!! This recipe will be added to my very favorite recipes. Thank you for such a delicious cake. Oh that makes me so happy Joan. Thanks for letting me know. Haven't made it since last summer, and I definitely need to make it again now that it's blueberry season! Just wondering what a stick of butter is? What is the amount in a stick? Not used to that phrase. Hi Nellie - thank you for this question. 1 stick of butter is equal to 1/2 cup of butter. I need to update that in the recipe. Thank you for bringing it to my attention. Hope you get a chance to try this pound cake, it’s one of my favorites! By the way I already made one and it was delicious so wanted to make another to freeze! 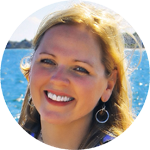 Hi Marti - so glad you liked it! I have frozen it -- I just wrapped it tight, then put it in one of those mammoth ziploc freezer bags - and it did fine. Thanks for dropping by. I made this lastnight and my fiancé and I LOVE it!!!!! Thank you for sharing such a delicious recipe! Also, I really like your silver cake plate, do you mind me asking where you got it? Hi Mary Beth - that makes me so happy - glad you love the cake. The cake plate is actually made of armetale and I got it at Home Goods about 5 years ago. There were three sizes and the one you see is the largest. They are slightly indented and have a removable glass insert underneath where the cake is. I bought it in the two larger sizes and have been kicking myself ever since that I didn't buy the smallest size too so I'd have a set of three. That was before I started blogging and all. I didn't buy the smallest size because the glass was cracked - but I could have easily replaced that. Hindsight is 20 20. Good luck, I sure hope you find one, I have really enjoyed mine. After reading this article, It is very easy to make. We heve prepared this cake many times, because our children loves it very much. It is too tasty!!!!!!!!! we made it on last Sunday.. Thanking You!!!!!! Hey thanks so much for dropping by Pam - so glad you enjoyed the cake and it was pretty too! Bonus. :) Always fun to hear success stories. I've not made one of these yet this summer and our blueberry picking season goes through September, so I'm hoping to go picking soon. Dense, moist, delicious! I had blueberries I'd picked last summer still in the freezer. I didn't thaw them, primarily because I missed that part in the directions, but it still turned out perfectly! Even my non-blueberry-loving husband raved! I typically bake carrot cake for Easter, but wanted to try something new...this will definitely be a repeat treat in our house! Thank you for the recipe. Hey Trish - sure thing and thanks for dropping by - so glad you and your husband enjoyed this cake. We've been making it here for years and love it too. Glad to know about the frozen blueberries, thank you. Have a great week! Good to know - thanks so much! I have also made this cake with frozen blueberries but it seems to freeze the batter when I add them. I just find it harder to work with the batter when adding it to the pan. I've also used frozen berries and defrosted them first and had better success. But the cake def. tastes just as fabulous either way! I just made my lemon glazed blueberry pound cake last night and taking it to a potluck today. Yum! Have a super weekend. Do you use unsalted or salted butter? I’m making your cake this morning & I have one stick salted & the rest unsalted. Could I use one of each? Thank you!